If you ask that question with the ones who did motorcycle tours in Vietnam, the answers would be “Fine” , “Special”, ‘Funny” or “Crazy”… , For us (the local Vietnamese), the Vietnam traffic has its own rules that make you float safely with the crazy-looked traffic. Anyway, motorbikes, scooters are still always kings of the Vietnamese roads. 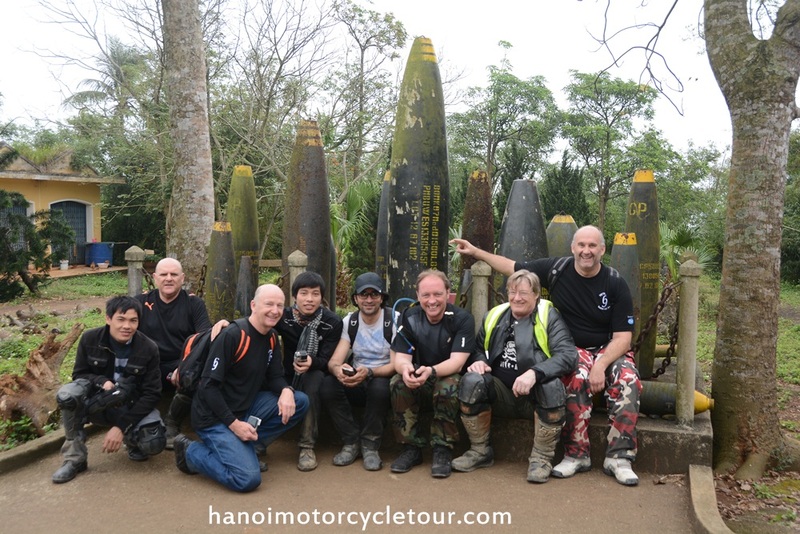 All of our tours guided by a local experienced riders who know the traffic well and will show you the local traffic rules just in order to have safe Vietnam motorbike trips .what’s more, the local team of Hanoi Motorcycle Tour will do the best to take you on the safe back-roads or take you on the dirt and narrow but safe ones. 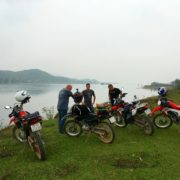 With our guiding, we are sure you will have safe and fun Vietnam motorbike tours. Your safety is our Life. 2. 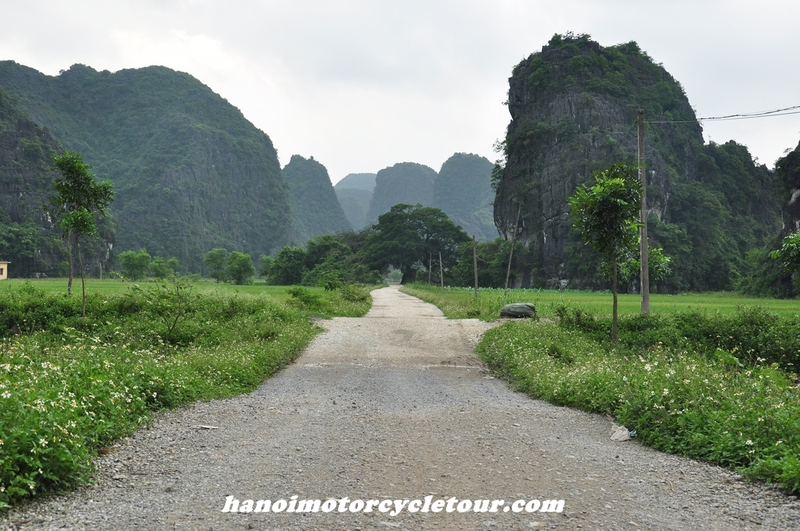 Where is the best to ride motorbike in Vietnam? That’s a popular question but it’s not easy to answer because it all depends on your taste. Northwest Mountains, which are full of beautiful colors from the traditional dresses of the local hill tribes is a spectacle. The Central North stirs up strong emotions on the steep limestone mountains, with views compared to the “Holy Land”. But for this you need to be a very experienced biker. 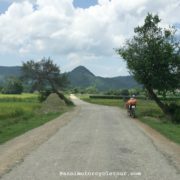 The Northeast route is relatively easy riding and the people are very friendly. You will mostly stay with host families and discover their cultures. A good proposal depends on you providing us with clear information about what you would like to do, to see and dream of. 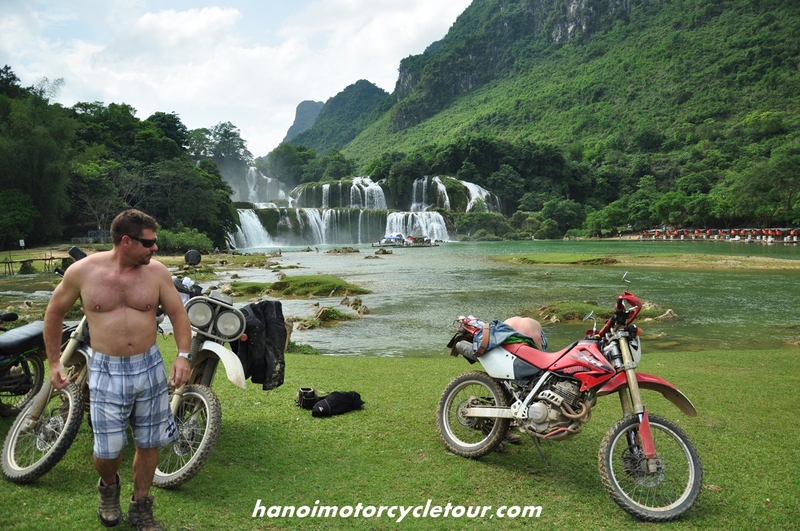 For us, to have good motorbike tours in Vietnam, the destination is not the most important, the route to ride on is more important. 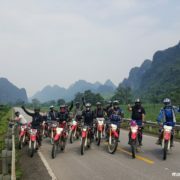 The team of Vietnam Motorbike Tour Expert will find the route that gives you fun and interesting things in every minutes of riding. 3. Can you buy motorcycle riding insurance ? The biggest insurance companies in Vietnam are Bao Viet( National Insurrance Company) and Gras Savoye Willis ( French Insurance Broker ). 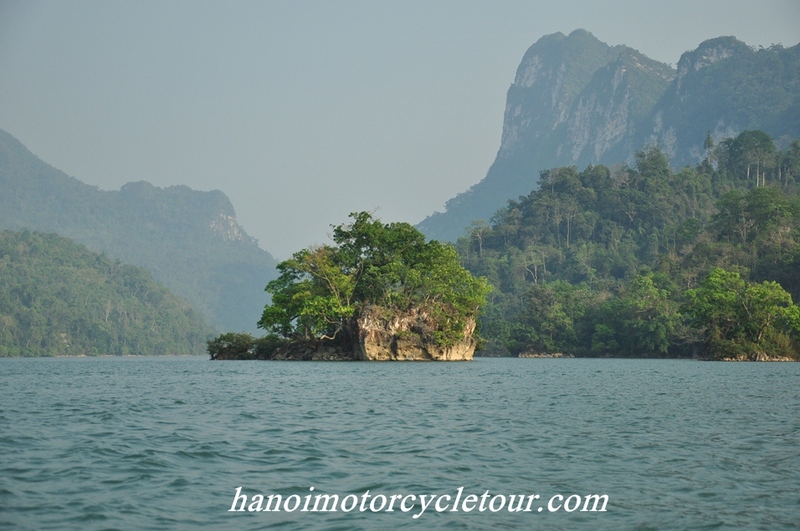 They are quite big in Vietnam but they never cover you if you have no Vietnamese motorbike riding license.You’d better to get one in your country before coming to Vietnam. We are suggested to choose CHI Insurance or Allianz. It’s said these companies didn’t require a local driving license and covered larger displacements. Alternatively, Lonely Planet also have an insurance policy for less than 100$US/person. On our trips, you ride about five hours per day on average. It means you still get insured about 19 hours per day while not riding the bike with just a normal travel insurance policy. 4. 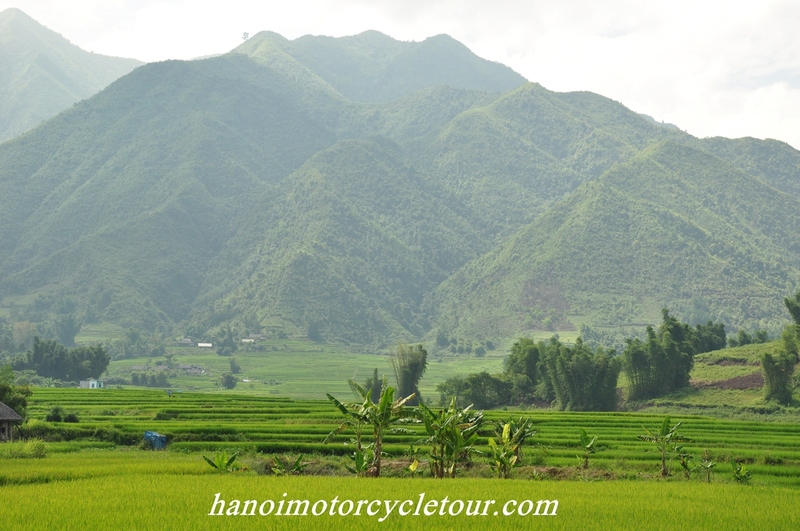 How to have good motorcycle ride in Vietnam? Almost the Vietnamese people don’t use the motorbikes those are larger than 175cc until May 2007 when Vietnam joined WTO. It took sometime to have bigger bikes imported into Vietnam, but it’s likely that nobody rents out these bikes as import tax is 90% and VAT is 10% (a bike costs twice as much as in your country!). Motorbikes in Vietnam will not break the sound barrier but they will easily carry two people (locally, even more) down all of Vietnam’s roads. 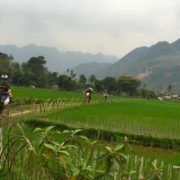 They are light, balanced, fun to ride and suitable to the Vietnam road. We also offer Honda SL 230cc or Baja XR 250cc and some other big motorbikes with 250cc. 6. How do we pay the tour? Deposit is made via a secure internet link ( via Onepay.vn) or Western Union Cash Transfer. Unfortunately. PayPal applies very bad conditions to Vietnamese account holders so we are not Paypal’s fans. The final balance is paid before starting the tour in our office in Hanoi by credit card with the fixed bank charge of 3,5% for Visa and MasterCard holders (4% for American Express card holders). At current times, we may apply surcharge as banks may offer low or very low rates comparing to black/free market rates. You can also pay by cash and we prefer USD or Vietnamese Dong. 7. I‘m travelling alone, is it possible to join with another group? Yes, it is. Please check it out at Tour List To Join. Most of our customers booked strictly private tours while some of them wanted to have more riders (new friends) tagged along to have more fun and save some dollars. Maximum of a group is limited to 6 or 8 people. As a note, an open group tour usually has riders with different riding experiences and if you care about strangers in the group, you’d better book a strictly private tour. Ideally, a trip between friends is the best because you have a good understanding about other people. 8. Do I need a Local Motorbike license? Motorbike licensing is a dark area in Vietnam. Many of the locals do not have a license, however new legislation has been passed and is slowly being enforced. 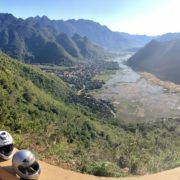 Joining our motorbike tours in Vietnam without a local license should not be an issue for us, however it can be an issue for travel insurance companies. Some companies require local licenses, others require home licenses, and still others no license at all. Please check the fine print of your insurance to make sure of their policy regarding engine size limitations and riding documentation. 9. What to bring during the motorcycle tour?